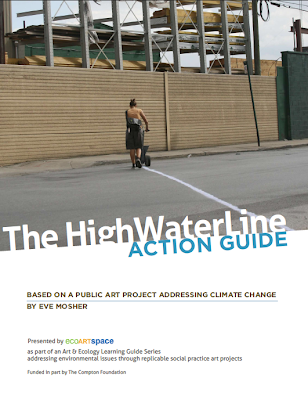 ecoartspace is excited to present Eve Mosher's HighWaterLine ACTION GUIDE, the first in a series of ten art and ecology learning guides presenting replicable social practice public art projects. In 2007, Mosher spent the summer marking the ten feet above sea level line throughout Lower Manhattan and Brooklyn to make visible for residents living along the coastline what scientists had been projecting as an increase in sea level in the next century. Little did she know when she conceived of this project that in 2012 Hurricane Sandy would pound the east coast with storm surges in some places beyond what anyone thought was possible. 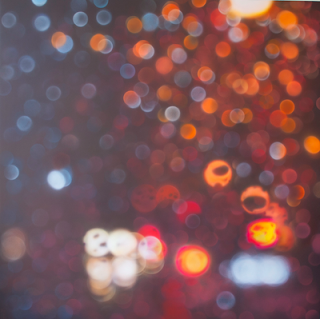 With this guide we are inviting educators, organizations and individuals to replicate what Mosher did in New York City anywhere in the world, to tell her story and to mark a line as appropriate for each individual locale. In the guide, other waterline marking materials and examples are provided, as well as Mosher's step-by-step process involved in developing and performing the project. Plans are in place to create a website portal where this guide and others can be viewed online and downloaded for FREE by anyone in the world to use. For now we invite you to download the PDF from DropBox and distribute freely, as well as create your own HighWaterLine in your communities and neighborhoods where climate change has and will be impacting your natural environment in the future. 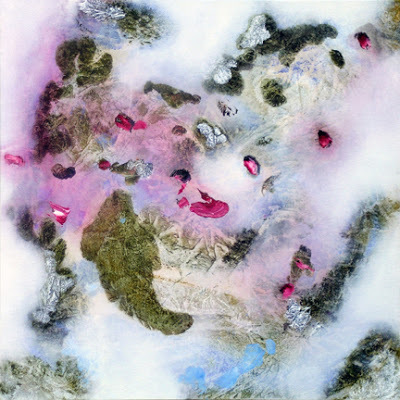 In 2011, I began researching artists who were doing abstract paintings, mainly in Los Angeles and the San Francisco Bay Area. 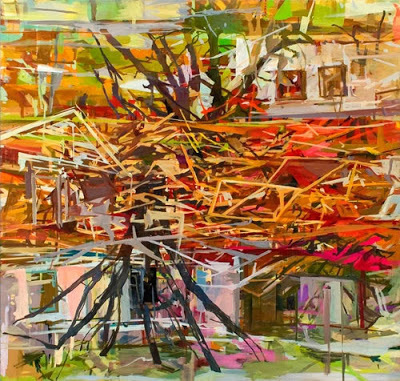 It was my suspicion that what might be happening with this new vibrant and energetic work was a response to extreme weather events or climate change, if not explicitly, subliminally. 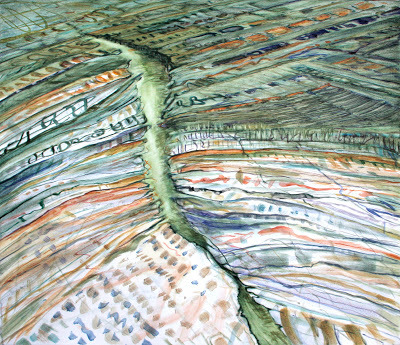 I wasn't sure if my hunch was right, but eventually found a few artists painting fragmented landscapes that evoke our most pressing environmental issues. Of course, the outcome was a much broader representation for an exhibition titled Millennial Abstractions including 22 artists and over 90 paintings (a few sculptures) presented at the Marin Community Foundation in Hamilton Field, Novato, California (Feb. 15 - May, 31, 2013).